Time for a reset, then, in the form of both a new publisher and developer. Milestone developed last year’s underwhelming SBK 08, which promised a lot, but ultimately failed to deliver either gameplay or graphics. We were a bit concerned when we found out that this engine was forming the backbone of the code in MotoGP 08. But we needn’t have worried, because things have moved on a long way since then. The Milan based programmers have been busy producing what may be the most enjoyable realistic motorbike game ever to have been released on a console. This is the first console game that has managed to capture the sensations of riding a motorcycle, let alone racing one. You actually feel the mass and momentum of the bike as it banks through the corners, the horizon shifting with your lean angle, the rear tyre braking away as you get on the gas too hard. The bike physics are superb, with attention to detail. This isn’t a case of cartoon stunts, but of finite control inputs having a very real effect on the stability and pace of your machine. Ride sloppily, and pay the price with poor traction, highsides, and lowsides. Sadly, your bike and rider both escape damage in any off, which detracts from the sense of realism. We’d also like to see tyre wear over a number of laps to keep you on your toes in the closing stages of a race. It’s an oversight that’s surprising, given the game’s simulator approach to the sport. The Career mode sees you start in 125s, then earn your way up to 250s and ultimately, GPs as you open up opportunities to race for different teams. Each series does feel distinct, with Stoner’s Ducati coming across every bit the animal you’d imagine it to be. There’s a real sense of development through the ranks, even if the game does fall short of what we’ve now come to expect from the likes of Race Driver: Grid. As you’d expect from the official game of the 2008 season, all the riders, teams and tracks from this year are in the game, including Indianapolis, and the night race at Qatar. The circuit detail is impressive. You’d expect the layout of the racetrack itself to be accurate, but they’ve also managed to capture the individual feel of each circuit, with varying track widths, background detail and convincing elevation changes. Each of the bikes and riders are well enough presented, even if the leathers do look artificially shiny. The animation is generally decent, but the highlights style replays are disappointing, even compared to the PlayStation 2 standard set by Gran Turismo. If the pure racing action gets a bit old, Milestone have also included challenges, that see you complete a specific task such as an overtake, or go for a win from way down the field with some last lap heroics. OK, it’s still ‘just’ racing, but the goals do give a slightly different flavour to the action. The controls work well, with throttle on the right analogue trigger, which allows you to dial in any given percentage of power. Just as in the real world, this is crucial, because you will go down if you gas it too hard on the way out of a turn. There’s independent control over front and rear brakes, with the all-important front on the left analogue trigger. Again, this means that you can apply as much or as little front brake as you like, and practice progressive braking into a turn. Unfortunately, the rear brake is mapped to a button, which is either full on, or off. The only way you can effect control over it is to tap the button, which is a slightly crude workaround. At least the physics engine is quite forgiving to accommodate control inaccuracies over rear wheel grip. 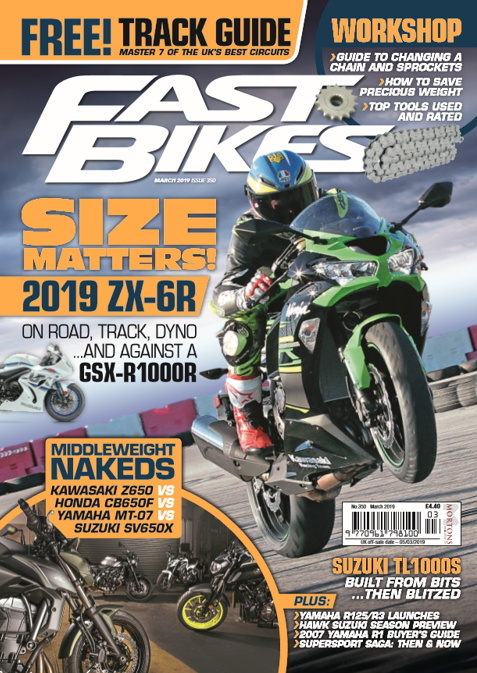 Rider weight distribution is disappointing though, and it’s nigh on impossible to wheelie or stoppie, which feels alien after the stunt-driven antics of earlier instalments in the series. It may sound daunting to biking virgins or gaming noobs, but MotoGP 08 manages to be playable to both novices and TT veterans alike by offering a genuinely worthwhile range of difficulty options in terms of physics, handling and how well your computer controlled rivals race. Things get really interesting when you set the other riders to anything above Medium difficulty, which is when they start behaving like real racers. By the time you hit Champion mode, you’ll be lucky to keep them in sight for a whole lap. You can race from one of several different points of view. Placing the camera behind the bike may make good results easier to achieve, with its line-of-sight advantages, but it’s the on board cockpit view that offers the full experience. We’re just disappointed there isn’t an option to use the right stick to look around, so you can see your opponents alongside you. It’s almost standard in racing games now, and a glaring omission here. The sound is the real weak area of MotoGP 08, with thin engine notes, dull spot effects and a general lack of authenticity that lets the game down. The predictable music is thankfully limited to menus and replays, leaving you free to hear the bikes on track around you while you’re racing. In fact, MotoGP 08 suffers from flat presentation, uninspired menu screens and it generally lacks options. You get the feeling that the development team is passionate about bikes, but that they could do with someone from an experienced publisher like Capcom making sure the game gets the final polish to make sure it shines. With any luck, that’s exactly what will happen if the series gets another outing next year. So what we have here is a game that doesn’t look or sound as good as it could, lacks a sense of occasion, and just doesn’t add up to a top drawer game. On paper. The reality is that when you shed all the dead weight and get stuck into the racing itself, MotoGP 08 is not only on the top step of the podium, it’s in a class of its own.